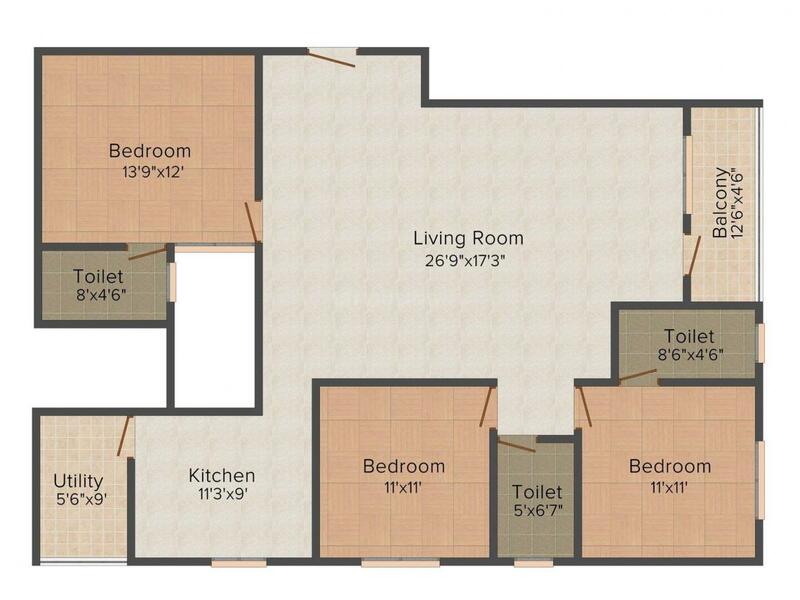 1185.00 sqft. 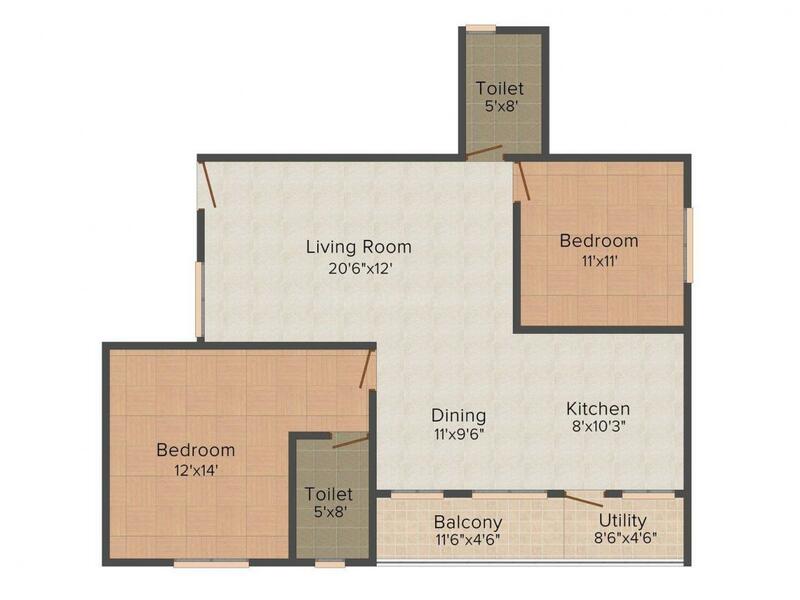 - 1496.00 sqft. Golden Landmark is a fully residential project designed to ensure privacy of independent living with security of group habitation. Adequate moving space and common area, provision for convenient parking are an integral part of the building. Every inch of the place reflects high quality of construction and sincere effort put into the project. 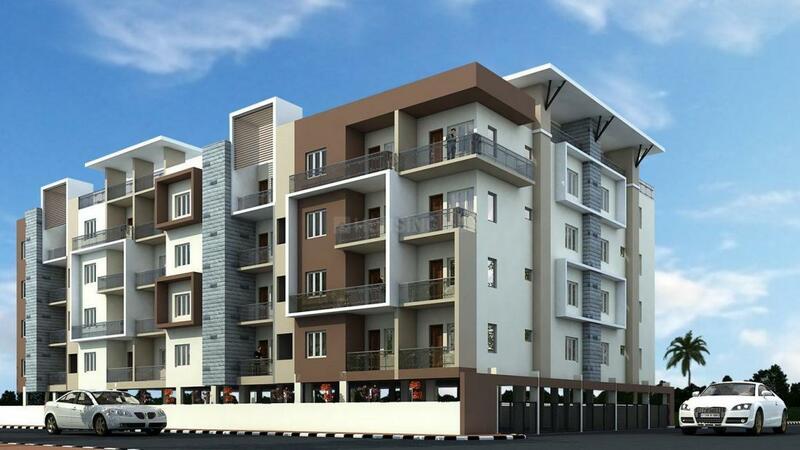 The Vaastu Compliant homes are artistically designed and fully furnished. No compromise is done when it comes to availability of fresh breeze and natural light in the homes. This has been made sure through the ground breaking architecture and design. The luxurious apartments give you an experience of a modern life with uncompromising standards of living comfort. Sunkadakatte is one of the most developed suburban townships of Bangalore. Since a number of internationally famous institutions are located here, Sunkadakatte is rapidly developing as a major residential area that is preferred by the high-tech professionals and educationalists. Major institutions located here are National Law School of India University, Bangalore University, Indian Statistical Institute and Indian Institute of Plantation Management is located here and offers the dwellers excellent opportunities in education and research fields. Nearest metro railway connectivity is offered by stations like Vijayanagar Metro Station and Attigupee Metro Station. Road connectivity is also excellent here and important roads in vicinity are Outer Ring road, Magardi Road, Chord Road, pipeline Road etc. Bangalore Airport is easily accessible from this place. 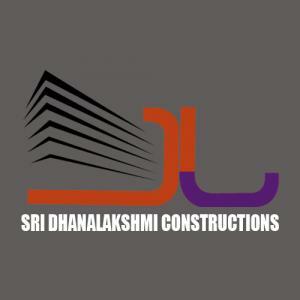 Sri Dhanalakshmi Constructions is a team of committed professionals, who are determined to make a mark in the field of construction. Its emphasis is on providing luxury of modern living while maintaining ecological balance. The company is known for quality work, prompt completion and reasonable pricing. The company believes in delivering the best and strives to leave no stone unturned in doing so. Transparency, Humility, Honesty and Integrity is what is of utmost importance to the company and it has shown these in all of their projects which are mostly concentrated in the Bangalore region. The company has successfully completed many projects in the past and with many other in pipeline, it is only going to grow bigger by the day.